The banbury Collection highlights a timeless nostalgia for traditional versatility and sets a tone that is both classical and sensible. Chrome finish is highly reflective for a mirror–like look that works with any decorating style. 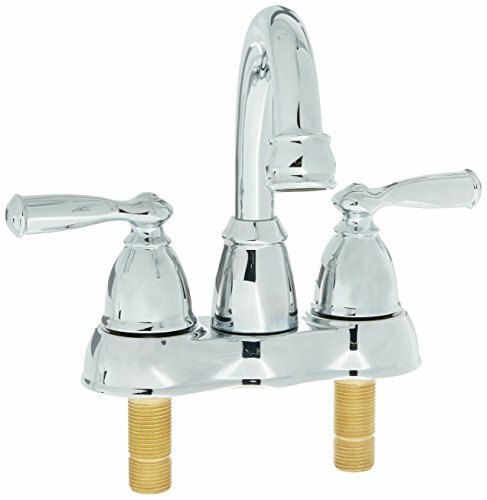 Two–handle lever handles make it easy to adjust the water. 4 inch center set design allows for easy installation. Complies with Americans with disabilities act (ADA) specifications. Aerated flow is ideal for everyday bathroom tasks, like brushing teeth and washing hands. Meets epa WaterSense criteria to conserve water without sacrificing performance. Meets current legislation, including AB1953 (California) and S152 (Vermont).